The Read N' Write Preschool Writing Center has an innovative design that is perfect for an early-childhood classroom. It includes two learning centers in one, so your students can choose what they want to do. 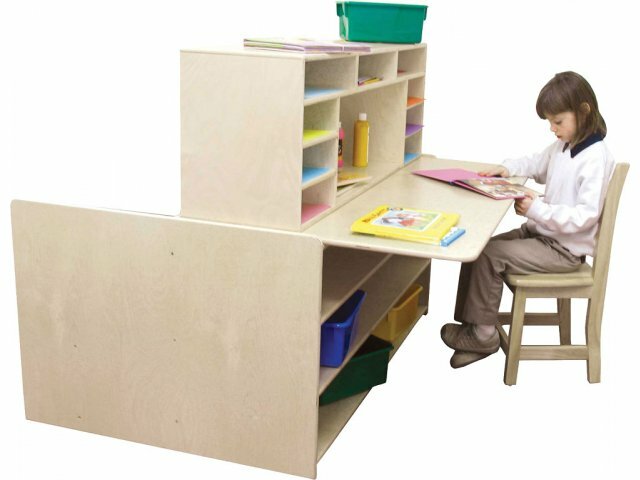 One side features a writing center including a built-in literature organizer, preschool-height work surface and additional storage underneath. The other side has a chalkboard and two preschool chairs with storage underneath. This is the perfect place for little ones to enjoy a good book or work on their listening skills. 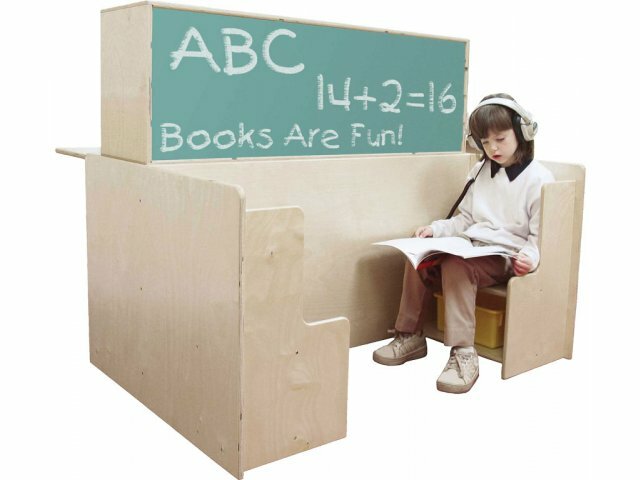 This reading and writing center is sure to become a fast favorite in your classroom. With so many kids enjoying the hands-on learning, it's helpful to know that your preschool furniture is built to last. Baltic birch plywood is protected by an exclusive UV finish, and assembled with sturdy mortise, glue and steel pin construction. This writing station is just what you need to get little ones excited about writing, reading and listening. Perfect Size: Work surface height is ideal for preschool-aged children. Hands-On Learning: Preschool-height chalkboard is great for working on letters and shapes. 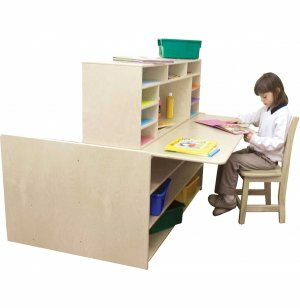 Abundant Storage: A literature organizer, additional storage under the work surface and cubbies under the seats provide plenty of space for supplies.